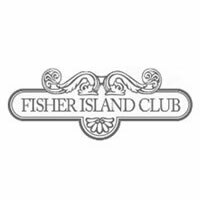 Light, airy, luxurious and elegant are just a few words to describe Fisher Island. The ferry ride from Miami Beach is a mere 5 minutes but once there it feels as though the bustling Miami Beach is miles away. The impeccable service, delectable food and dreamy ambiance allows guests to be transported to paradise. Offers Vero Water: Fisher Island saw a need for a greener and more cost effective way to provide members with refreshing water. Fiji water bottles were previously provided complimentary and the club’s discerning members and guests have appreciated the transition from Fiji to Vero Water. Patrons at Porto Cervo Restaurant and The Vanderbilt Mansion have noted the crisp, clean taste of Vero while at the same time feeling encouraged by their decreased environmental impact.